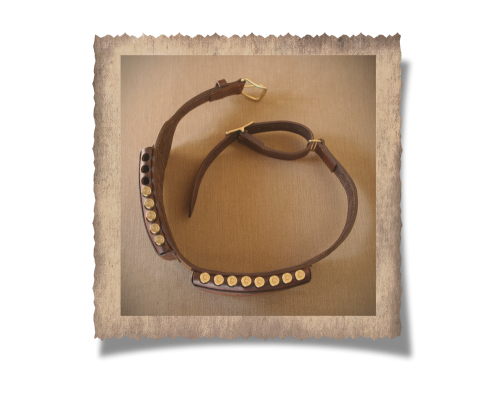 Your Cradock Culling Belt is a heavy duty cartridge carry belt, similar in design to the belts used at the turn of the 19th century when culling elephant. 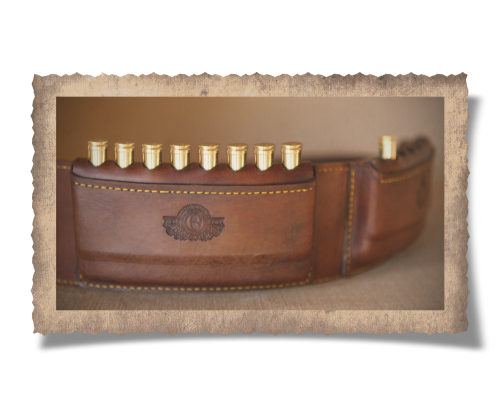 Two Somerset Cartridge Pouches are integrated into the belt, giving you carry capacity of between 16 and 20 rounds, depending on the cartridge size. All our products are crafted using only the best quality vegetable tanned leather we can source. It is self dyed and hand rubbed with our own mixture of beeswax, animal fat and vegetable oil, giving a classic old school finish. 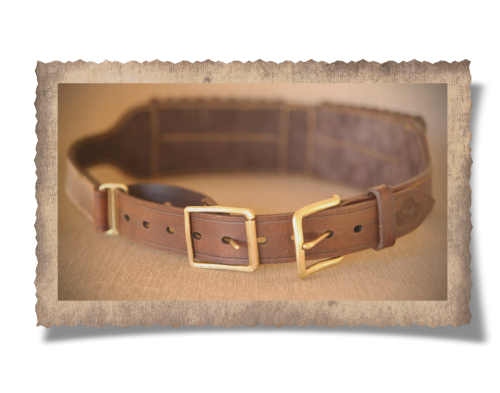 The entire belt is hand stitched, around 400 stitches in total, using thick wax coated cotton thread that gives the honest tactility of true craftsmanship. 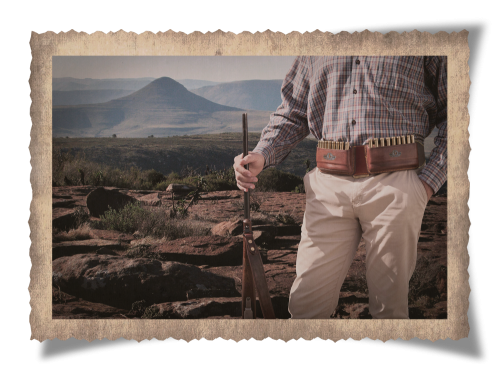 For a mere R100 we can personalise your belt by having your name, family crest or the caliber of your rifle engraved onto the leahter. 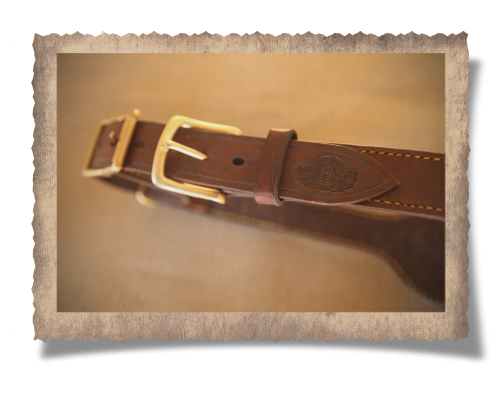 The Cradock has an adjustable end that sets it apart from most belts of it's type. 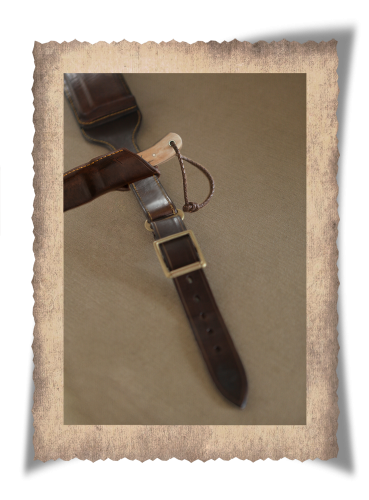 It is quick to adjust when shedding your thick jacket, so no time wasted fiddling with your belt. Should size become an issue, it is an easy fix...just replace the adjustable belt tip. No need to buy a new belt. Sizes: Small 40"-44" Medium 44"-49" Large 47"-53"
*Smaller belts can be made as a custom order. At the end of the belt there is sufficient space to attach your accessories and the tip of the belt slips off easily to allow you to slide your accesories on.